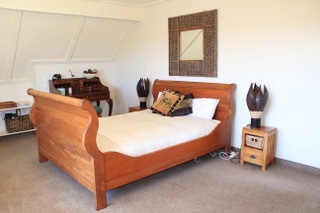 Whether you are visiting from overseas, have driven up from Wellington, are doing business in the area and need somewhere to stay, or a taking a staycation near your Kapiti Coast home, our Paraparaumu accommodation offers the perfect base from which to explore the coast. With individually styled rooms, continental breakfast, spa and pool (Oct-Apr), you will leave Tudor Manor feeling truly relaxed and refreshed. 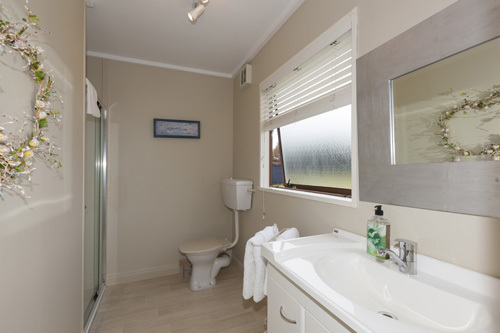 Our conveniently located accommodation near Kapiti Coast airport and all the main attractions means you can explore the coast with ease. 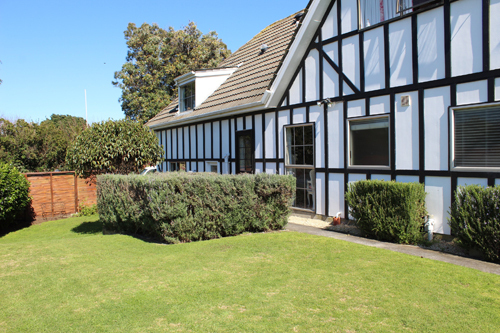 There are plenty of hotels and motels around Paraparaumu beach to choose from but only Tudor Manor offers such individual rooms and great personal service, so make a booking today and enjoy your time on the coast – and don’t forget to ask us about the fantastic local dining options. 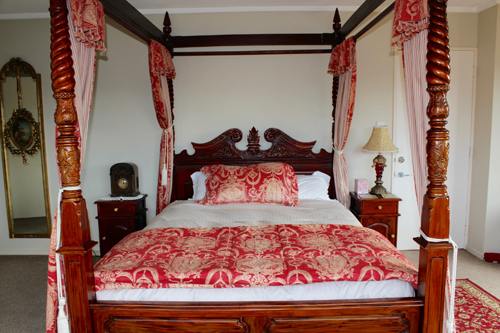 From the incredibly comfortable four poster bed to the snuggly bathrobes, everything about the Windsor Room will leave you feeling like a king or queen. 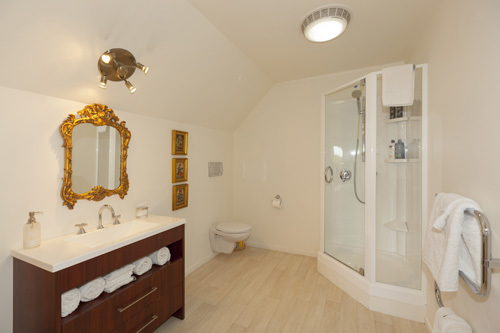 An ensuite bathroom ensures your privacy but you can also access our solar heated pools and spa for extra relaxation. 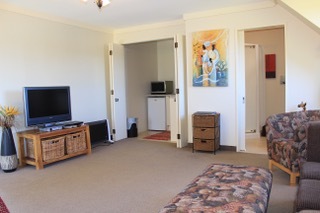 Enjoy a continental breakfast in your room or on the private deck before heading out for a day enjoying the local Kapiti Coast attractions and relax at the end of the day by watching something from the extensive in-room DVD collection. 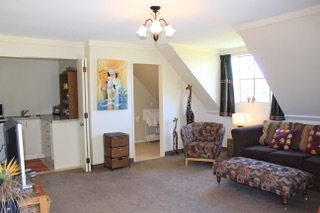 It was a lovely room, and a great couple to deal with. 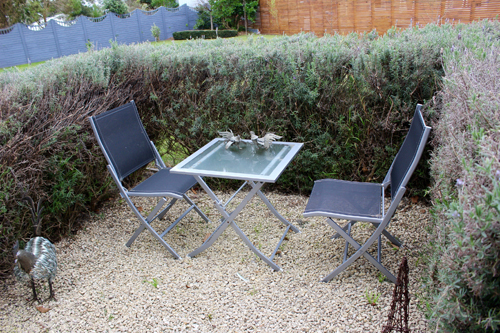 They were very accommodating for me to come earlier, and were really helpful. The bed was comfortable, and I found the room warm and quiet. The shower was very powerful, but great to wake you up in the morning! The breakfast was very nice with a selection of fresh fruit, juice, cereals, breads for toasting etc. I would absolutely stay again. I found the room really relaxing. 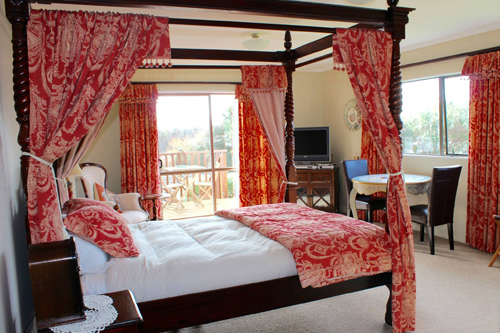 Are you looking for luxury accommodation to spoil your loved one with? 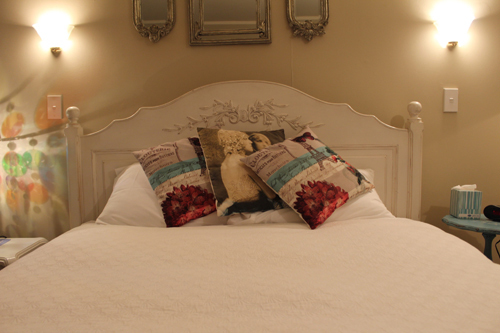 The Bordeaux Room with its beautiful French theme is the perfect setting for a weekend for two. 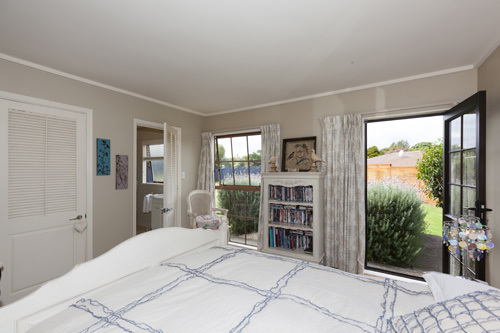 This room has its own garden filled with wonderful flowers where you can enjoy a continental breakfast before heading out to explore all the things to do in Kapiti. Extra touches including a large DVD collection and fluffy bathrobes to use after a spa make your stay all the more special. Tudor Manor had just been taken over by new owners, who are very welcoming they blessed us with a basket with wine and chocolates, and yes it was a special occasion. 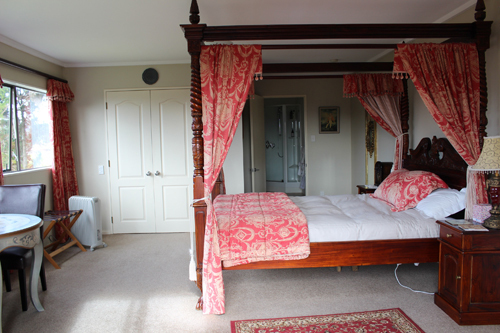 The room was beautifully decorated, everything about the Manor was excellently presented. We chose a Continental breakfast which had a good choice of cereals, coffee and toast. Well done! 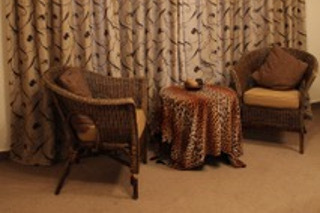 If you are looking for something a little different, book the Serengeti Suite with its African furnishings and decorations. 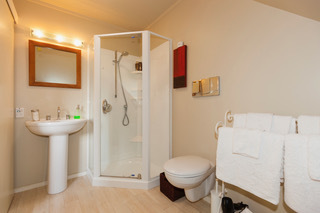 This self-contained accommodation includes a kitchenette, bathroom and lounge space and is perfect for families, sleeping up to five people. A continental breakfast is included to get your day off to the right start. Under new management but I felt like it was too cheap! Beautifully decorated and themed rooms with a packed kitchen. Very warm in winter and The service was excellent. 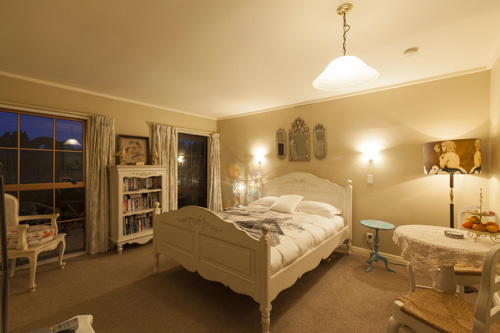 Would recommend the African suite ( I want those lamps!). 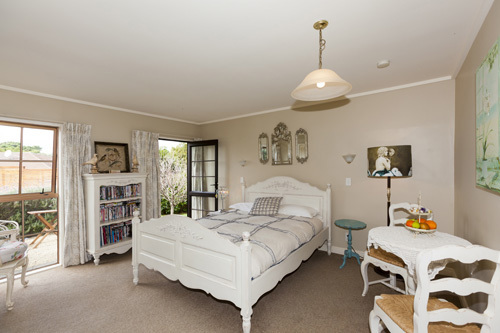 At Tudor Manor, we work hard to ensure your stay at our Paraparaumu B and B accommodation is perfect from start to finish. Our team knows that guests value their privacy so you will be left to enjoy your stay, but if you do need anything you simply have to ask. 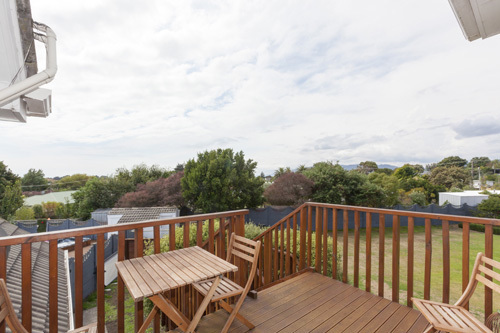 Whether it is a recommendation for local restaurants or help booking a Kapiti Island tour, or tide times so you can plan a walk on the beach, our local knowledge is yours to use.